Asking for a tax increase in 2018 proved tough. In La Plata County, only Fort Lewis Mesa Fire Protection District successfully passed an increase. Voters cast ballots Tuesday during the 2018 General Election. More than 60 percent of Durango voters opposed the city’s request to raise sales and property taxes, which would have raised up to $187.5 million through 2043. A question emerges after Colorado’s midterm vote of 2018: What exactly does a good year to ask for a tax increase look like? 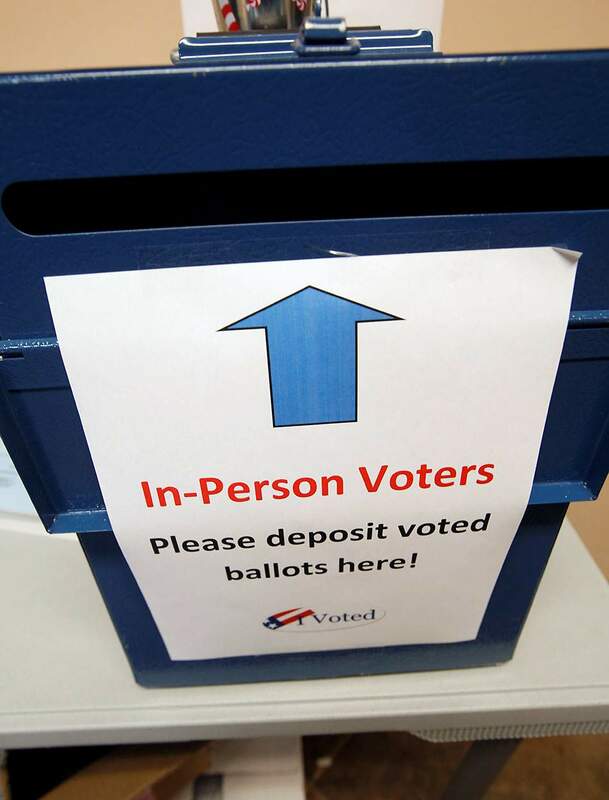 “It does seem to be a statewide trend: The voters want you to live within your means,” said Jean Walter, chairwoman of the La Plata County Democratic Party. In La Plata County, a small fire department, Fort Lewis Mesa Fire Protection District, was the only entity able to buck the anti-tax trend, winning a mill increase that would raise property taxes for homeowners by $18 for every $100,000 in home value. The district also successfully escaped the requirements of the Gallagher Amendment, which serves to lower property tax bills of homeowners when statewide residential values rise faster than the value of commercial property. But Fort Lewis Mesa was the lone exception. More than 60 percent of Durango voters opposed the city’s request to raise sales and property taxes to raise up to $187.5 million through 2043. In southern La Plata County, voters rejected tax increases for a cemetery district and appear to have defeated a tax increase for the Pine River Library District. “It is interesting that in a year when you elect a (Jared) Polis governor, ballot questions to raise taxes for education and roads didn’t come close to passing,” said Paul DeBell, a political science professor at Fort Lewis College. Despite a booming Front Range economy and a sweep of the top state offices by Democrats, measures to increase taxes to pay for transportation improvements and education were widely rejected. In Colorado, Amendment 73, a measure to increase income taxes on high earners and corporations to raise $1.6 billion for K-12 education, was defeated 55 percent to 45 percent. 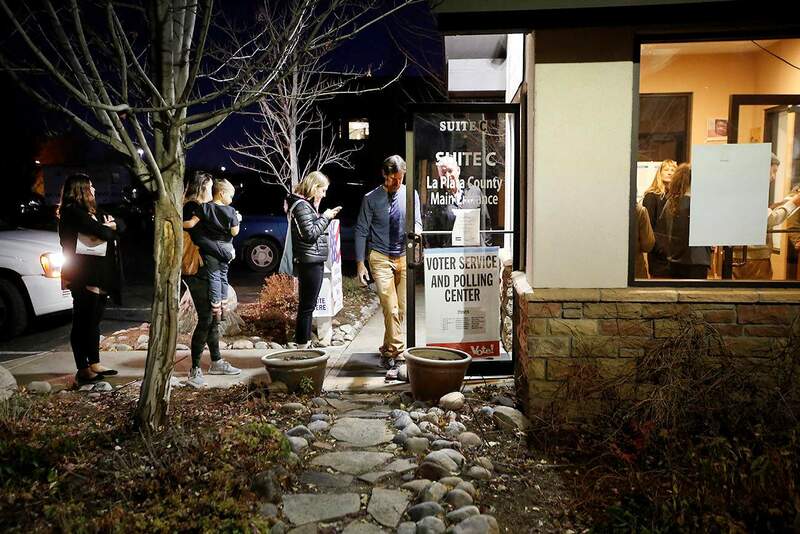 La Plata County voters rejected the measure 53 percent to 47 percent. Proposition 110, to raise taxes by $767 million a year for 20 years to pay for transportation improvements, went down 60 percent to 40 percent, compared with 56 percent to 44 percent in La Plata County. Proposition 109, which would have allowed the state to issue $3.5 billion in bonds with a repayment cost not to exceed $5.2 billion was rejected by more than 61 percent of the voters statewide, and 69 percent in La Plata County. Amendment 73 Amendment 73 is sponsored by Great Schools, Thriving Communities and seeks to raise $1.6 billion for public K-12 education funding through a tax increase on people with incomes above $150,000 per year, along with an increase in the corporate tax rate. Walter had a conversation with a Democratic voter who said she voted a straight party line ticket for officeholders but voted against the city of Durango’s request for a tax increase. “She is convinced the city has other revenue sources. I asked her, ‘Where?’ And she just brushed it off,” Walter said. After decreases in tax revenue from the faltering natural gas industry in the Four Corners and a temporary hit to sales taxes from the 416 Fire, Walter said it appears voters have decided they are willing to live with fewer government services. Walter noted voters approved a tax increase for the Durango Fire Protection District in November 2017 but rejected the city of Durango’s request that would have funded a new police headquarters. “When (Durango Fire Protection District Fire Chief) Hal Doughty asked if people wanted less service or more, people stepped forward and said ‘yes’ (to a tax increase). But for the police, they said, ‘Find the money where you can,’” she said. Another trend Walter saw in the 2018 vote that was more pleasing to her was a Democratic sweep winning the race for governor, expanding their control of the state House and gaining control of the state Senate with a 19-16 margin. In La Plata County, voters seemed satisfied with incumbents, at least for now. Sheriff Sean Smith, a Democrat, beat his Republican opponent, Charles Hamby, by 20 percent. But two other races remain too close to call with more than 500 votes unaccounted for. For La Plata County commissioner, incumbent Republican Brad Blake holds a slim lead against Democratic challenger Clyde Church, with only 47 votes separating the two, a difference of 0.34 percent, which could trigger an automatic recount. And for La Plata County treasurer, incumbent Democrat Allison Aichele maintains a small lead against Republican challenger Colton Black, with only 185 votes separating the two, a difference of 1.4 percent. “Colorado experienced a blue wave that shows we are willing to push forward on health care, education, the environment and human rights in contrast to what you hear from the White House,” Walter said. DeBell said Colorado is joining a broader trend of one party claiming control of a state’s governor’s mansion and both of its legislative bodies.